Welcome to the new AMANAC EU Project website! 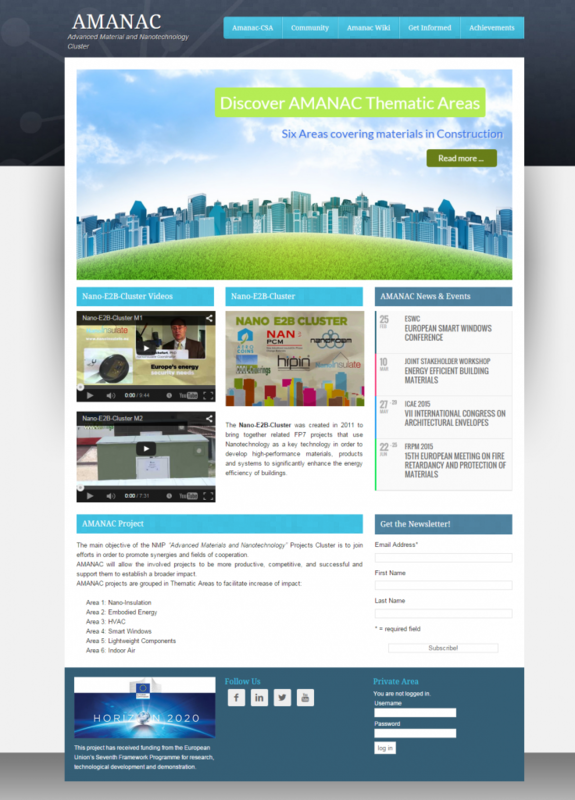 The most appropriate dissemination tool for ensuring internal and external communication as well as accelerating the promotion of the projects’ outcomes is a content-oriented website , specifically developed for cross-linking the results and the dissemination of foreground generated by the projects participating in AMANAC. Please take a moment to browse all of the features! This centralised informative website will be continuously updated and prepared to be maintained by future projects. Meanwhile, discover thesix thematic areasthat comprise the AMANAC Cluster Project! Learn about the latest trends, the updated projects’ outcomes and make sure, as the project advances, to visit “AMANAC-Wiki” page often! Moreover, get informed on the forthcomingconferences,exhibitions,Open Info daysandworkshops! If you want to stay updated on AMANAC news, don’t forget to sign up for the Newsletter!